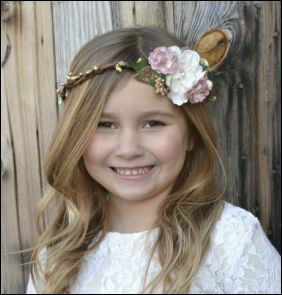 Couture Kiss On The Chic Crown. 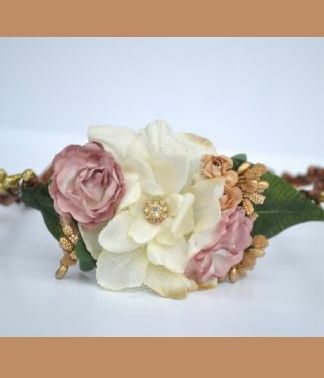 Ivory flower and mauve flowers with gold sparkle on woodland crown. Please allow 2-4 weeks for delivery.